COLUMBIA, 7/26/12 (Beat Byte) -- Plans to transfer majority control of the Columbia Housing Authority (CHA) -- a public agency -- into the hands of private investors were the big news last night at a near standing-room-only forum led by the agency and Grass Roots Organizing (GRO), an activist group representing tenant rights. Part of a massive "revitalization and redevelopment" program partly relying on for-profit tax credits, the transfer would trigger the Uniform Acquisition and Relocation Act (URA), a Federal regulation in two parts: property acquisition and tenant relocation. In the weeks, months, and years to come, the URA -- a 500-pound gorilla of a law -- could reshape the Columbia landscape. Liberally sprinkled with terms like "may" and "subject to," and "could" instead of "must," the URA provides few guarantees to anyone in its orbit. Relocated tenants are not guaranteed they can return to the redeveloped project, nor are property owners guaranteed they can sell their land to the Authority for the price they want. Property acquisition, which CHA CEO Phil Steinhaus has made a centerpiece of the redevelopment discussion, comes in two varieties under the URA: voluntary and involuntary. Involuntary acquisition, as the name implies, involves that old bugaboo, eminent domain. "The housing authority also is looking into acquiring more properties for public housing," the Columbia Missourian reported. "Michele Duffe, another representative of ND Consulting Group [hired by CHA] said her company has been looking for vacant lots and vacant houses to convert into low-income housing." Under current plans, CHA would become a "minority owner" of its downtown public housing, transferring majority control to investors. On the plus side, the new arrangement would add "additional oversight," Steinhaus told the audience, an explanation some people found cold comfort as they peppered him with questions. If the Federal government, through HUD, is already doing an excellent job overseeing operations, as Steinhaus also explained, why bring in private investors? Why the need for yet another layer of -- in this case -- profit-driven oversight? "No public money," came the response from CHA's facilitators. Private investment is the only way to accomplish revitalization. CHA-owned public housing sits on some of Columbia's most valuable land. What guarantees, audience members wondered, would prevent private investors from demolishing it? A "deed of trust" held by HUD, Steinhaus said. But unless HUD's deed of trust is filled with restrictive covenants and can never be quashed, that explanation may fall short. Take a bank deed of trust securing a loan on a home. As long as the homeowner makes mortgage payments and any required insurance purchases, the deed of trust doesn't dictate much. If provisions to quash it exist -- like paying off the mortgage -- the deed of trust goes away. 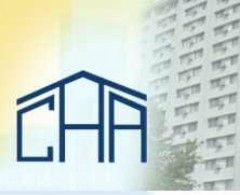 Under the URA, public housing tenants fall into two categories based on CHA determinations: displaced and non-displaced. Tenants will receive a form like this one (click link) explaining their category. Displaced tenants then fall into two subcategories, again based on agency determinations: permanently and temporarily displaced. Only permanently displaced tenants qualify for full "relocation assistance," which MAY include counseling and, subject to determination and filed claims, moving, rent, and even down-payment assistance. Tenants labeled "non-displaced" do not generally qualify for benefits, and temporarily displaced tenants -- people moved from a unit undergoing renovation for less than 12 months -- only qualify for limited benefits. "The URA applies to permanent displacements and does not cover persons that are temporarily relocated in accordance with HUD regulations," reads a HUD handbook about URA protections (page 12). It's important to note the URA openly and repeatedly discourages temporary displacements. Tenants displaced from public housing are therefore more likely to be required to move permanently.